In late January 1944, a combined force of U.S. Marine and Army troops launched an amphibious assault on three islets in the Kwajalein Atoll, a ring-shaped coral formation in the Marshall Islands where the Japanese had established their outermost defensive perimeter in World War II. 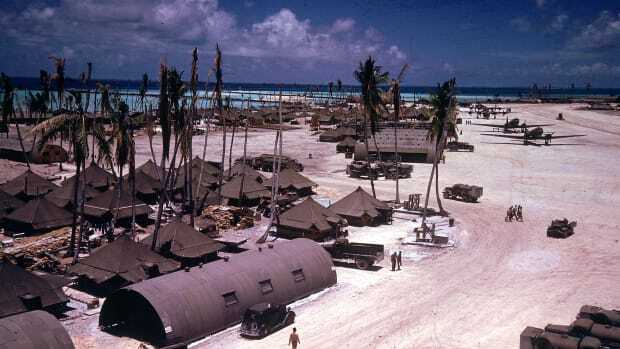 Kwajalein Island and the nearby islets of Roi and Namur were the first of the Marshall Islands to be captured by U.S. troops, and would allow the Pacific Fleet to advance its planned assault on the islands and its drive towards the Philippines and the Japanese home islands. The peace settlement that ended the First World War gave Japan a mandate over the Marshall Islands in the western Pacific Ocean. 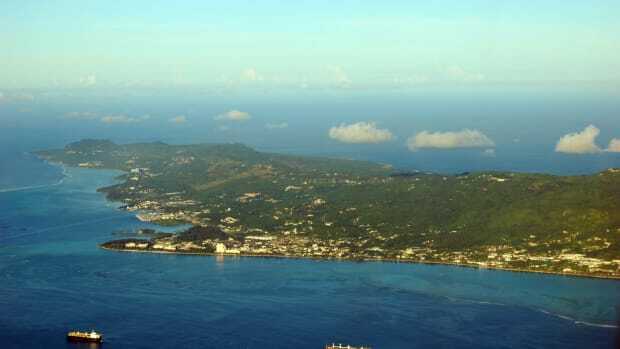 Kwajalein, in the Ralik (western) chain of the Marshalls, was the world’s largest coral atoll, numbering some 90 islets (with a total land area of six square miles) surrounding a 655-square-mile lagoon. 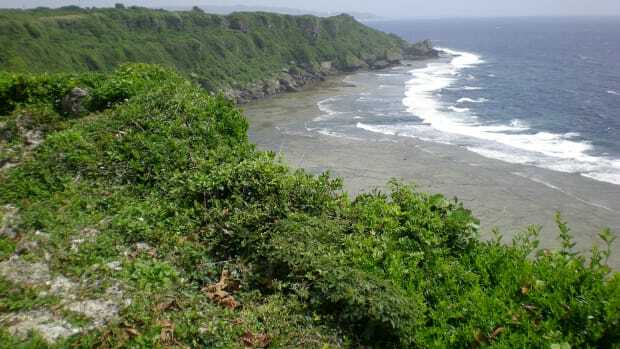 By the beginning of World War II, Japan had established the Marshalls as an integral part of its defensive perimeter, and the islands became an important target for the Allies in their wartime planning. Did you know? 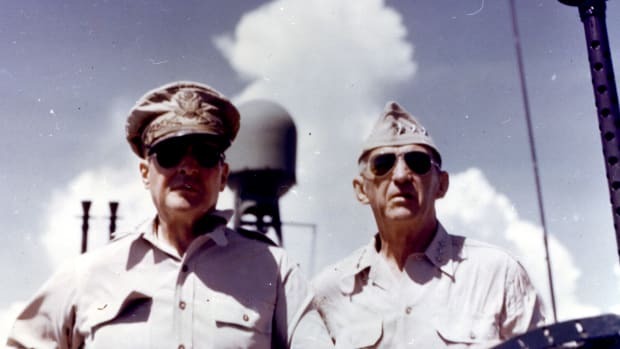 The "island-hopping" strategy of 1943 represented a compromise between two major U.S. commanders: General Douglas MacArthur, who pushed for the immediate recapture of the Philippines (taken by the Japanese in 1942) and Nimitz, who advocated bypassing the Philippines for weaker-held positions in the Pacific. 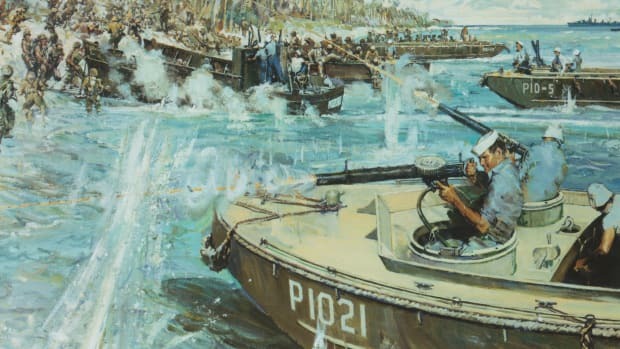 In 1943, after Japan had scored victory after victory during the first months of war in the Pacific, Admiral Chester Nimitz proposed an aggressive counteroffensive strategy consisting of a series of amphibious assaults on selected Japanese-held islands on the way to the Philippines and on towards Japan itself. 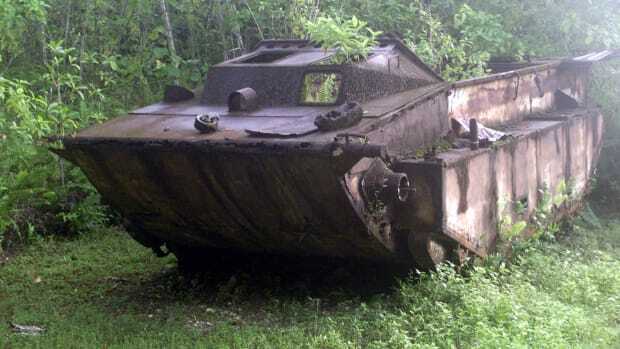 The strategy, known as “island-hopping” or “leapfrogging,” turned on the idea that merely isolating some Japanese forces on their islands–letting them “wither on the vine”–would be as effective as destroying them through a direct attack, and far less costly to Allied forces. The bloody conquest of Tarawa, a small atoll in the Gilbert Islands of the central Pacific, in November 1943 was a crucial precursor to the Allied campaign in the Marshall Islands. The 5,000 Japanese troops garrisoned on Tarawa mounted a ferocious resistance, killing more than 1,000 U.S. Marines and wounding another 2,100. Nearly all of the Japanese troops on Tarawa perished, in a striking example of the never-surrender attitude that would characterize the entire Japanese war effort. Between Tarawa and Luzon, the main island of the Philippines, were 2,000 miles of sea, plus more than a thousand scattered atolls, many of them fortified with Japanese troops. The lessons of “Terrible Tarawa” (as the Marines dubbed it) helped the Allies prepare for the hard fighting that would characterize the central Pacific campaign. 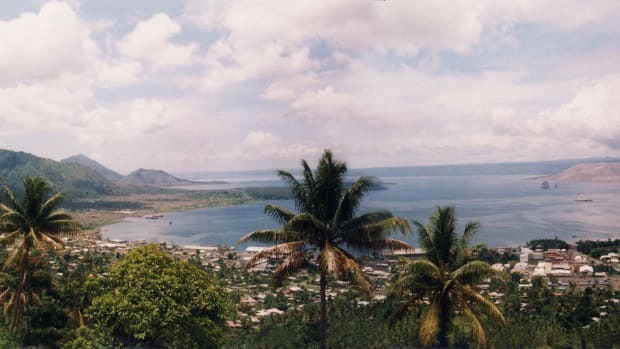 Moreover, because neither the Japanese fleet nor any land-based aircraft from other islands had interfered, Nimitz concluded it would be safe to skip other Marshall Island garrisons and proceed to the westernmost atolls in the chain: Kwajalein and Eniwetok. On January 30, 1944, after a massive air and naval bombardment lasting some two months, a U.S. Marine and Army amphibious assault force of 85,000 men and some 300 warships) approached the Marshall Islands. On February 1, the 7th Infantry (Army) Division landed on Kwajalein Island, while the 4th Marine Division landed on the twin islands of Roi and Namur, 45 miles to the north. A single Marine regiment captured Roi on that first day, while Namur fell by noon of the second day. The battle for Kwajalein would prove more difficult, as the 7th Infantry pounded the Japanese garrison there for three days until the island was declared secure on February 4. 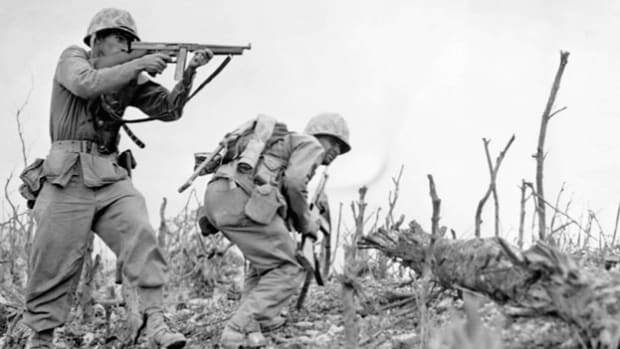 Though greatly outnumbered from the start (by more than 40,000 on Kwajalein) the Japanese chose to fight until the bitter end. Japanese casualties on Roi and Namur numbered more than 3,500 killed and around 200 captured, with less than 200 Marines killed and some 500 more wounded. On Kwajalein, close to 5,000 Japanese defenders were killed and only a handful captured; the 7th Infantry counted 177 soldiers killed and 1,000 wounded. While not an easy victory for the Allies, the capture of Kwajalein was accomplished ahead of Nimitz’s expectations, allowing him to advance by 60 days the planned attack on Eniwetok, 400 miles northwest of Kwajalein. 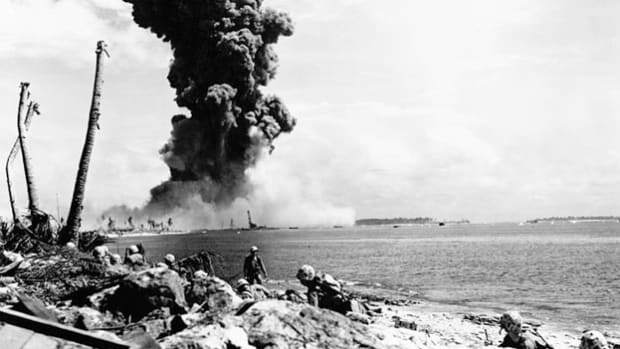 An assault on Truk–a forward anchorage of the Japanese fleet–destroyed 275 Japanese aircraft and sank nearly 40 ships, and Eniwetok fell by February 21, after five days of fighting. 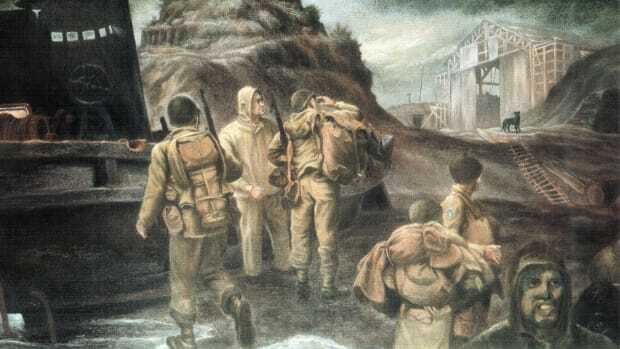 Their success in the Marshalls gave U.S. forces a major anchorage point and staging area from which to continue their amphibious operations in the central Pacific, as they opened the way to the Mariana Islands, including Saipan and Guam. 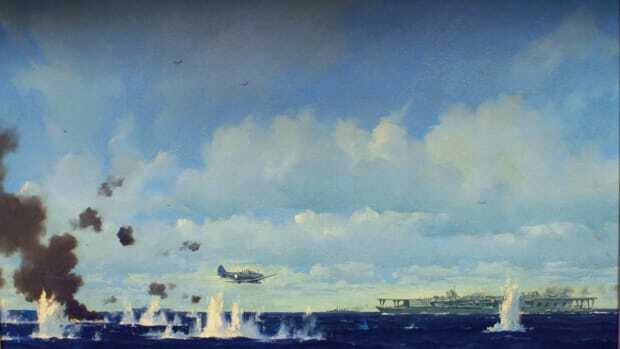 In addition, the victories intensified the isolation of those Japanese island outposts that had been skipped in the Allied island-hopping campaign, including Wake Island, one of the first islands Japan had captured in the beginning stages of the war.